Disclosure: I received a free consultation in exchange for this review, but all opinions are my own. My subscribers know by now that I’m a huge fan of low dose naltrexone as a treatment for fibromyalgia. I took LDN for about nine months in 2015, and I will be starting back on it next week. (I’ll give an update on how I’m changing my treatment protocol in an upcoming blog post.) 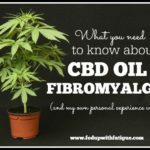 LDN has helped to reduce my pain when no other pharmaceutical has, and I have a number of fibro friends who have benefited from it as well. A few weeks ago, I was asked by LDNDoctor.com if I would be interested in doing an online LDN consult. I’ve been thinking about going back on LDN for the past couple of months, so it was perfect timing. 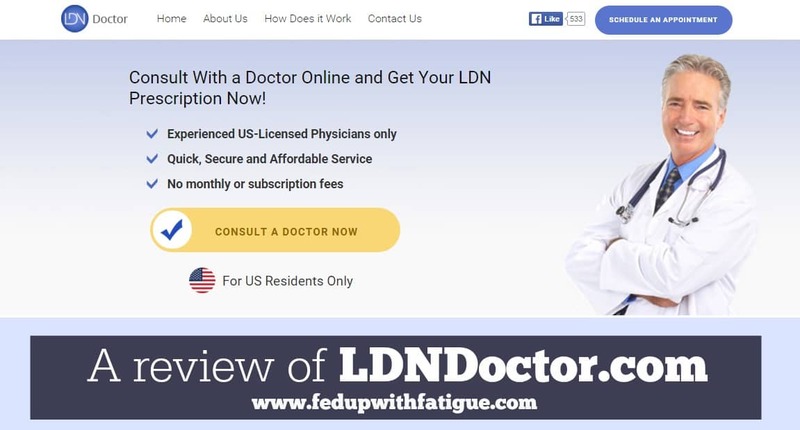 LDNDoctor.com offers online consultations and prescriptions for low dose naltrexone to U.S.-based patients via U.S.-licensed physicians. Consults are available to manage conditions such as fibromyalgia, multiple sclerosis, Crohn’s/colitis, thyroid disorders (Hashimoto’s and Graves disease), rheumatoid arthritis and others. 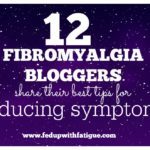 I was diagnosed with fibromyalgia in 2014, and within a few short months, I had flunked out of at least four or five of the usual fibro medications. For the most part, I couldn’t take them due to side effects. I stumbled upon an online patient survey that said LDN was one of the most effective treatments for fibromyalgia. In early studies, LDN outperformed the three drugs currently approved by the FDA to treat fibromyalgia – and it does so with minimal side effects. Since the usual treatments weren’t helping me, I decided I wanted to try LDN. But there was a problem. My rheumatologist refused to write a prescription, and I couldn’t find an LDN-friendly doctor locally. You see, not many doctors know about using LDN for fibromyalgia because it’s an older, generic drug, and none of the drug companies are interested in researching it because there’s no profit to be made from it. But fortunately, there’s a university researcher, Dr. Jarred Younger, who sees great potential in LDN and has already completed two LDN/fibromyalgia studies at Stanford University. More are being planned at his new neuroinflammation lab at University of Alabama at Birmingham. Since LDN isn’t being marketed by the drug companies, few doctors are aware of it or know about its use for fibromyalgia. That leaves us, the patients, in a difficult spot. We’re desperate for relief, but it can be difficult to gain access to a treatment that might help us. That’s where LDNDoctor.com helps. There are lists of LDN-friendly doctors online for those who want to seek one out, but that requires making lots of phone calls, researching the physicians’ credentials, traveling to the appointment, etc. LDNDoctor.com makes the process of finding an accessible LDN-friendly doctor much easier. If you live in the U.S., it’s just a matter of registering on the website and setting up an appointment. Easy peasy. Earlier this month, I had my consult with Dr. Hila Handler. She’s a U.S.-licensed physician of family medicine who completed her medical training at Rush University Medical Center in Chicago, Ill. Prior to our consult, LDNDoctor.com sent me instructions on how to test my device to ensure that it was audio- and video-ready. 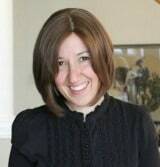 When my appointment time arrived, I logged into the website using my username and password and connected with Dr. Handler using the webcam built into my laptop. Our audio had a delay, making it difficult for us to converse at first, so Dr. Handler suggested giving me a call on the telephone. That was perfect because we could talk without the delay, but still see each other through the webcam. Dr. Handler was very helpful during our consult. I explained that I’d had some side effects early on when I’d taken LDN previously – they subsided after a couple of weeks – and she shared some tips for how to minimize those when I start back on LDN next week. She gave clear instructions, so I can start at a small dose and increase over time to find the optimal amount. She was able to answer my questions and is obviously knowledgeable about LDN and how it works. She also took the time to make suggestions on additional fibro-related testing (for Lyme disease, vitamin D levels, MTHFR, etc.) that might helpful. That was really above and beyond what I expected during the consult and showed she really was interested in helping me as a patient. I had a follow-up question regarding pharmacies and was able to email her and get a fairly quick response. My LDN should be arriving by early next week. LDNDoctor.com is a fast, convenient way to access an LDN-friendly doctor, and I would recommend their service to anyone who is interested in trying LDN – especially for those who haven’t been able to find a doctor locally. 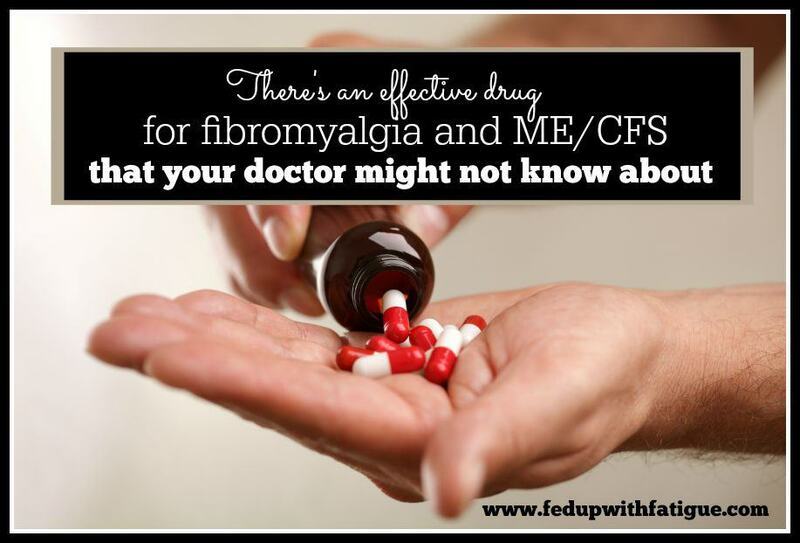 If you’d like to read more about low dose naltrexone and fibromyalgia, please visit my LDN resources page where you’ll find links to research and other helpful information. 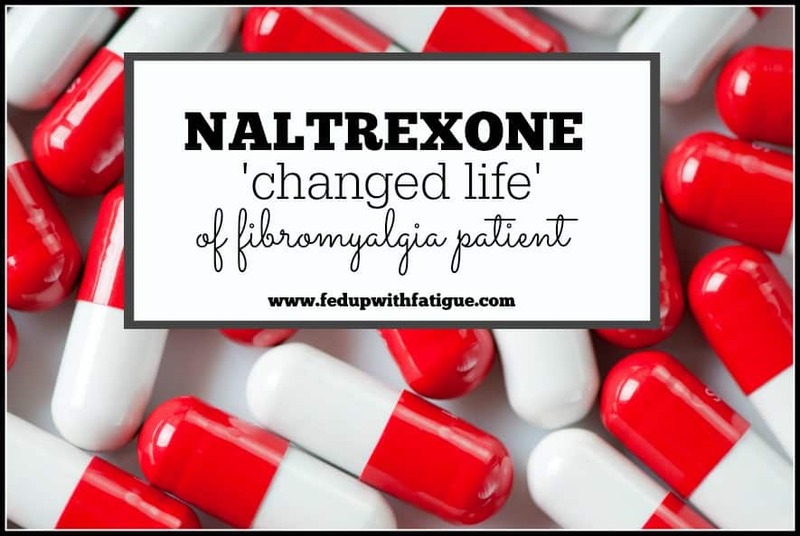 Read about my personal experience using low dose naltrexone, which I shared in Fibro Flare magazine. Read about the ongoing LDN/fibromyalgia research occurring at Dr. Jarred Younger’s neuroinflammation lab at University of Alabama at Birmingham. Did Donna Gregory get a reply? I am glad other people had a good experience with LDNDoctor. My experience has been less rosy so far. The consult went fine, and the doctor said she would send the prescription to Belmar Pharmacy, which she raved about and said would mail me the prescription. I paid Belmar Pharmacy for the prescription and was told I would receive it in a few days. I hadn’t received the prescription after more than a week, so I called the pharmacy and was told that it couldn’t ship to my state. I have tried following up with LDNDoctor to get a prescription sent elsewhere, but I feel like I am getting the run-around or am being put on the backburner. I am not saying it is a scam, but it is certainly emotionally tough to pay $200 for online services that require a little bit of a leap of faith and then feel like I have to fight for what I was promised. Again, I am glad others have had a positive experience. I just wanted to share mine. I have emailed LDNDoctor.com to make them aware of your situation. I hope they fix this quickly. Hi Mark, I heard back from LDNDoctor.com. They said to please contact them at info@ldndoctor.com to discuss the issue you’re having with your prescription. Hey Mark, did you ever get your issue resolved? What state are you in that they said they wouldn’t ship to you? Alaska or Hawaii? Or continental? I have UC and I am interested in trying LDN but my GI won’t prescribe it since he isn’t familiar with it, same story as usual for most people trying to get a script. What doc do you recommend that does phone consults from NY? Does LDNDoctor share your medical information with insurance companies? I’m concerned that taking LDN could effect my future insurance rates… as a lot of people don’t understand the uses for LDN. I wouldn’t think so b/c as far as I know they do not accept health insurance, but you could always email them through their website and ask. Are still using LDN? How is it working for you? I had sent you an email asking about it. Just curious if you still use and like LDNdoctor.com. Can I also get the name/number of the Doctor in NYC that does phone consults for LDN please? My family doctor will not prescribe it simply because she knows nothing about it. She is trying to find me a doctor that will prescribe it. One doesn’t have any opening until the end of June 2017. And I live in a tiny area, so far there are no others doctors around here that prescribe it. Hi Jess, I’ll email you directly on this. Email should be there in a few minutes. I’m not so sure about LDNDoctor.com. They can’t even seem to answer the simplest of questions and their website offers contradictory information. I’m beginning to think I’m in the twilight zone with these LDN doctors. It says on the LDNDoctors website to contact them if on pain meds. So that’s what I did. She writes back telling me that “LDN is not compatible with opiate type pain meds”. No duh… I already mentioned in the email that I knew that, and I had asked her what steps I needed to take. She didn’t answer my question or tell me what steps I needed to take. She also couldn’t clearly answer my question regarding the contradictory and confusing info on the website regarding what pharmacies are used. Also, wouldn’t you think that there would naturally be skepticism with a skype prescription service, and to counter that skepticism, you’d provide folks with some thorough info on your website regarding the legality of this, or maybe provide readers with links to your credentials. Or maybe that’s just me being skeptical from my years of encountering quacks with a medical degree. After a two week long struggle to find a doctor who prescribes LDN (because my doctors refused to), I finally found one a couple hours away. I scheduled my appointment and began the drive. Half way there my gut told me to research the doctor to make sure they were even licensed. It turns out this doctor with many apparent credentials was a con artist who pled guilty to massive insurance fraud a few years ago. Thank you google. It appears that I just may have to go the route of my doctors recommendation and start on the Methotrexate. I was trying to avoid doing so because of the toxic side effects (which I’ve witnessed with my nephew)), though it seems about impossible to find a legitimate and trustworthy doctor in upstate NY who prescribes LDN. And I can’t seem to even find any clear info on wether LDN will stop the progression of rheumatoid arthritis or not. My doctor says that it may help with pain, but it won’t stop the progression. Wether this is true or not is beyond me. There seems to be no information on this that I can find anywhere. It’s now been 2 weeks after my diagnosis of RA, and I’m not any closer to finding any help. The longer I wait, the further this disease will progress. I’ve been in pain for a decade now, so who knows how long the RA has been there. If anyone can offer any insight and/or let me know how to find an LDN prescribing physician, that would be great. I’ve already tried the “ldn physician search” sites…they are useless or just affiliates for LDNDoctor.com or the Amazon book about LDN. I had a good experience w/ LDNDoctor.com and I still recommend them. If you’re not comfortable w/ doing your consult w/ them, then I’m also familiar w/ a physician in NYC who does LDN consults via phone. 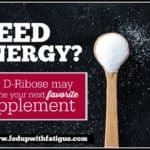 You’re welcome to email me – donna[at]fedupwithfatigue.com – for his name/number. I used him for my very first LDN consult. Same story here. 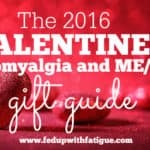 Diagnosed w/ fibro. Found out I have Lyme. That happens frequently. 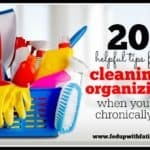 You have been getting great contacts and resources, Donna! Thank you for sharing your information with us. During last week’s post, you talked about the website for clinical fibro trials, and I was able to find one in my city! Thank you so much! I appreciate your time in gathering information to share with your readers. Hello. Thanks for your great posts. I live in Ontario Canada, and am wondering if this is available here? There are LDN friendly doctors in Canada. The LDN Research Trust publishes a list, http://www.ldnresearchtrust.org/LDN_Prescribing_Doctors. Some doctors don’t wish to be listed, so there are many more doctors than those on the trust’s list. Another option is to join one of the LDN groups on facebook and ask if anyone knows of a physician in your local area and/or to contact your local compounding pharmacy and ask if there are local doctors who prescribe LDN. I have a list of the LDN facebook groups here (scroll down to the end): https://fedupwithfatigue.com/low-dose-naltrexone-fibromyalgia/ I hope this helps! Hello. Is LDN available in Ontario, Canada? I’m wondering if you know of any Dr. here that is LDN friendly? Hi Bev, I just answered your other question. I’m wondering how typical local doctors react to you being on this? Do they ask questions, are they cool with it, are they alarmed? What have yours and others responses been from your regular doctors to being on this med? My rheumatologist refused to write a script for me b/c he was not familiar with it and wasn’t willing to try something that wasn’t on his approved list of treatments. After I had been on it for a few months and it was helping, I approached my nurse practitioner to ask if she would take over management of my LDN, and she was very open to it. She just needed instructions on how to write the refill b/c she wasn’t used to doing prescriptions for compounding pharmacies. My thought is if it’s helping you, then what GOOD doctor is going to poo-poo that? 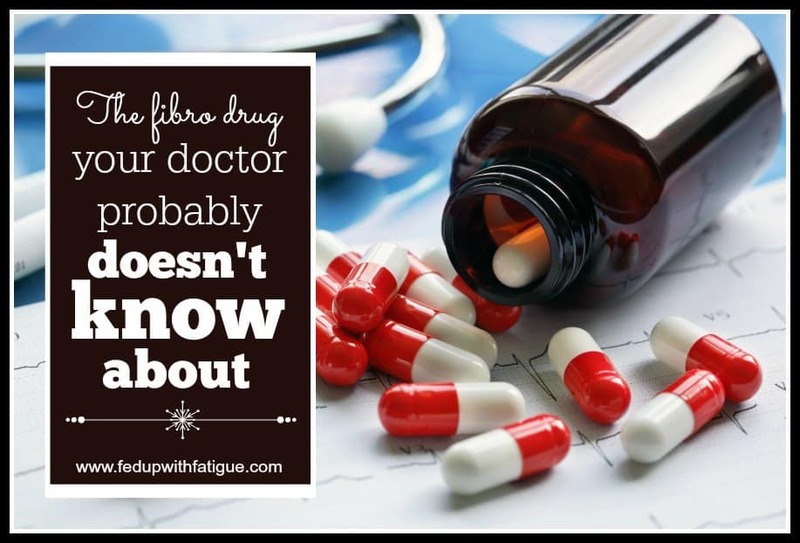 Fibro patients are so difficult to treat, so when something works, it should be a blessing for the physicians who may have previously felt pretty helpless to help us. But I know not all doctors are that open minded. (My rheumatologist is one of them, obviously.) It’s really going to depend on the doctor. I would like to talk to my nurse-practitioner about this, but I’m sure he would require information both about LDN, and how to write a prescription for it. I have developed a dependence on tramadol to complicate matters. How would I go about getting that information for him? We have an excellent compounding pharmacy locally. If I were to just go to LDNDoctor, what can I expect to pay for the consultation? My income is limited. LDNDoctor’s fees are listed on their website. Hope this helps! Donna, I just had consult with LDNdoctor.com yesterday and no prescription has shown up at pharmacy I specified though she said she sent it during consult. There is no answer to my emails so I am beginning to suspect fraud. I hope you have something true and encouraging to say about LDNDoctor.com. I haven’t heard any complaints about them and don’t believe they are a fraudulent company. I’ve only heard good things about Dr. Handler. I would give them a little more time to get back to you. I had an issue w/ my prescription after my consult too, and it took them a day or so to get back to me. Since it’s Friday, you might not get an answer until Monday. Another option is to call any compounding pharmacies in your area and ask if they would share the names of LDN prescribing doctors.